We wholeheartedly welcome a renewed call for a ban on paid ‘McKenzie friends’ after an unqualified ‘legal adviser’ was ordered to pay over £333,000 in damages and costs following a negligence claim. The High Court Judgement reinforced our earlier concerns that commercial enterprises acting as McKenzie Friends and charge to advise people who represent themselves in court – could result in this very scenario. This particular case centres on a 70-year-old man who sought help after a hospital operation in 2004 left him permanently disabled. The claimant was reassured that the unregulated representative’s firm had extensive experience, claiming to be ‘as good as, if not better, than any solicitor or barrister’. 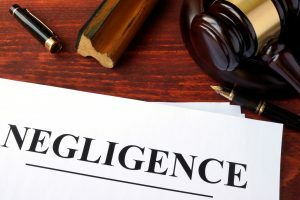 The negligence, which left the claimant without evidence, saw him winning a basic claim but being presented with a five-figure bill for costs. The outcome has prompted MP Bob Neill, chair of the Commons Justice Select Committee, to call for a renewed ban on unregulated advisors charging money, saying ‘it is time for parliament to bite the bullet and ban this unscrupulous practice’. Our earlier concerns centred on how, in such a sensitive and important area of law, having solicitors who are experienced and knowledgeable in family law is critical to resolving conflict fairly – and with minimum stress. The increased use of McKenzie Friends stems from the withdrawal of legal aid. Known and trusted friends of the litigant who are objective and give good counsel can be helpful. However, this case has illustrated how it can go horribly wrong. It is also extremely distressing for the claimant who, after taking on a court case against the hospital, had to then battle a second case to obtain a judgement he should have received the first time around. If there are any specific topics you would like us to write about or have queries on divorce or any aspect of family law, call Jones Myers at our Leeds office on 0113 246 0055, our Harrogate office on 01423 276104, visit www.jonesmyers.co.uk, email info@jonesmyers.co.uk or tweet @helpwithdivorce.